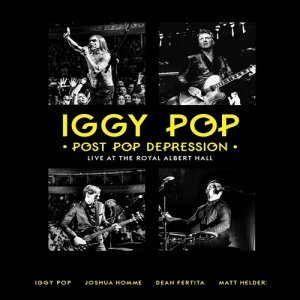 • Iggy Pop's Post Pop Depression album, a collaboration with co-writer and producer Joshua Homme from Queens Of The Stone Age, is his most critically acclaimed and commercially successful album for many years. 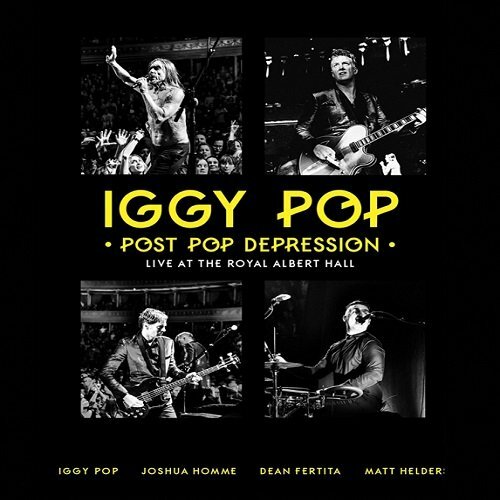 On May 13, 2016, Iggy Pop brought his Post Pop Depression live show to London's revered Royal Albert Hall and almost tore the roof off! With a backing band including Joshua Homme and Dean Fertita from Queens Of The Stone Age and Matt Helders from the Arctic Monkeys, Iggy delivered a set focused almost entirely on the new album plus his two classic David Bowie collaboration albums from 1977, The Idiot and Lust For Life. Fans and critics alike raved about the performance and this will definitely be remembered as one of Iggy Pop's finest concerts.